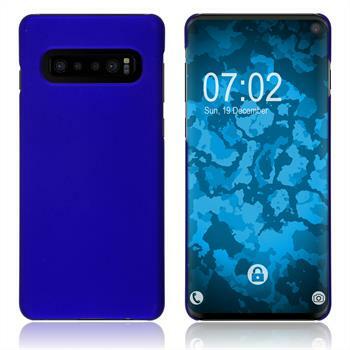 This durable hardcase for the Samsung Galaxy S10 provides reliable protection for your Smartphone. 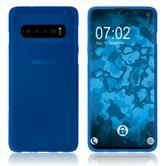 The Samsung Galaxy S10 cover is perfectly tailored to your device. It fits around it like a second skin, but without rendering its connectors and operating controls (camera, charging cable, headphones, volume control, etc.) inaccessible. This assures optimal use of the Smartphone. 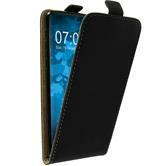 The case is easily and intuitively put on your Samsung Galaxy S10. Conversely, the Smartphone is uncased quickly without any effort. 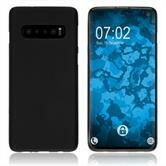 The hardcase for the Samsung Galaxy S10 from PhoneNatic is manufactured from high-quality hard plastics. As a result, the protective sleeve is highly resistant to pressure and sturdy against high loads and external influences. In addition, the cover renders cleaning completely simple. Hence, neither damages nor scratches or enduring dirt are able to harm your Samsung Galaxy S10.